There is no set size for this little mouse. 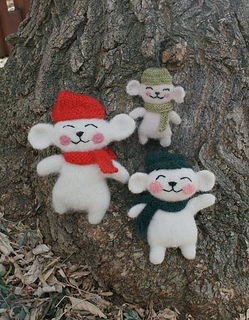 Choose any weight feltable wool to customize your own size, from mini ornament to huggable big guy! With only a small amount of yarn required, this is a great way to use up small balls of yarn.